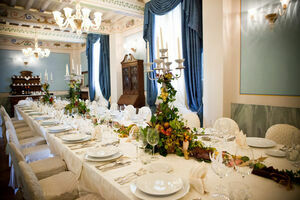 Host your wedding in style in this meticulously maintained high Renaissance villa. 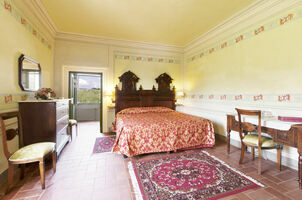 Villa Dani boasts manicured Italian gardens lined with lemon trees, rose arbors and scenically lit water fountains all with a sweeping view of the Lucca Valley. 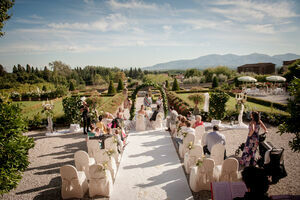 Celebrate in an intimate, legally valid civil ceremony set in the shade of tall secular trees that line the estate. 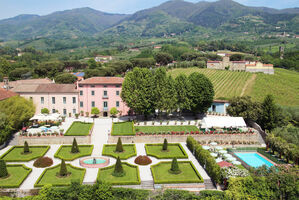 Uncork the Prosecco by the scenic Italian fountain while enjoying views of the Lucca countryside. 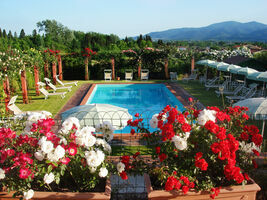 Then adjourn to dine al fresco on the panoramic terrace surrounded by lemon trees and roses. 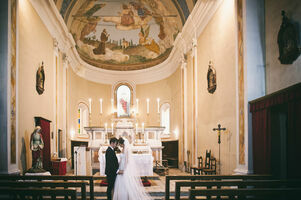 For those wishing a religious wedding, Villa Dani has its own chapel on site that seats up to 80 guests and has been lovingly restored to its former glory. 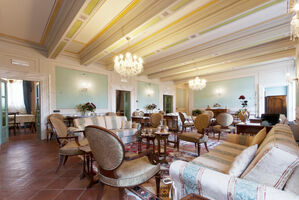 Should you get a spot of rain, Villa Dani can easily host your guests in its charming orangery. 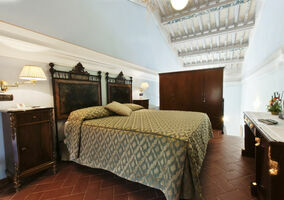 Villa Dani lets your friends and family enjoy a relaxing stay in the Tuscan countryside without skimping on important comforts; all spacious 11 double rooms are beautifully frescoed and well appointed with air conditioning, screened windows, satellite TV with English speaking channels and high speed Internet access. 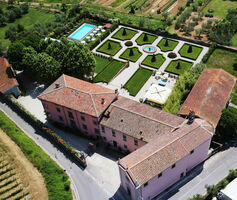 Rental of this villa allows you to hold an extended wedding celebration with your family and friends. 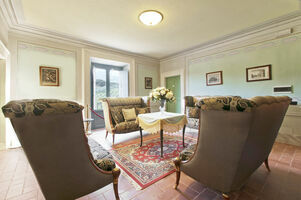 Included in the rental are use of the large, professional kitchen, living rooms, sitting rooms, gardens, pool and study. 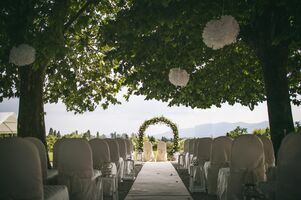 Should you have a larger group but would still love to try to accommodate everyone in your party, Villa Dani has a sister villa that sleeps an additional 20 guests just 600 meters down a country road that runs across an amazing vineyard. 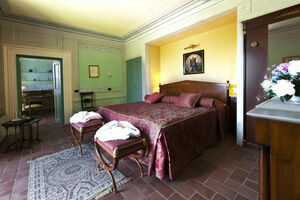 Click here to view a description of Villa Dani's sister villa, Villa del Lupo. 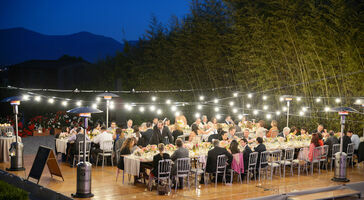 An absolutely stunning villa with an owner and manager that understand the meaning of true hospitality; for your special day, Villa Dani is an inspired choice.